Prominent cybersecurity expert John McAfee said pressure from the U.S. Securities and Exchange Commission made him step away from promoting initial coin offerings (ICOs). The cryptocurrency endorser didn’t elaborate on the matter but simply said he will no longer promote ICOs following the threats coming from the SEC, Cointelegraph reported. McAfee revealed a few months ago that his fee for endorsing an ICO or any cryptocurrency or related products is $105,000 per tweet. The cybersecurity expert boasts more than 800,000 followers on Twitter. He explained that if you divide the amount that he charges by the number of people that a promotional message will be exposed to, companies are potentially paying a mere $0.13 per investor reach. 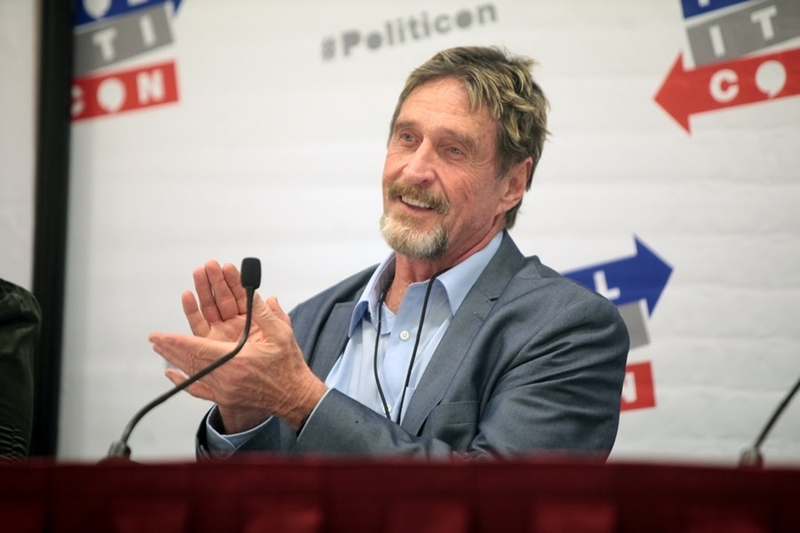 “Obviously, people feel that it is worth it,” McAfee tweeted. “Statistically, each tweet averages over $3 million in revenue for my clients – a 600% return,” he claimed. Lately, McAfee has been criticizing the SEC for putting up regulations that are allegedly suffocating the crypto market. SEC Chairman Jay Clayton recently had an interview with CNBC explaining what constitutes a security and what doesn't. "A token, a digital asset, where I give you my money and you go off and make a venture, and in return for giving you my money I say 'you can get a return' that is a security and we regulate that," Clayton explained. "We regulate the offering of that security and regulate the trading of that security." Clayton went on to say that he considers most ICOs operating in the crypto space today to be securities. McAfee responded to the categorization by challenging Clayton to a debate, posting a phone number on Twitter that is supposedly owned by Clayton himself.